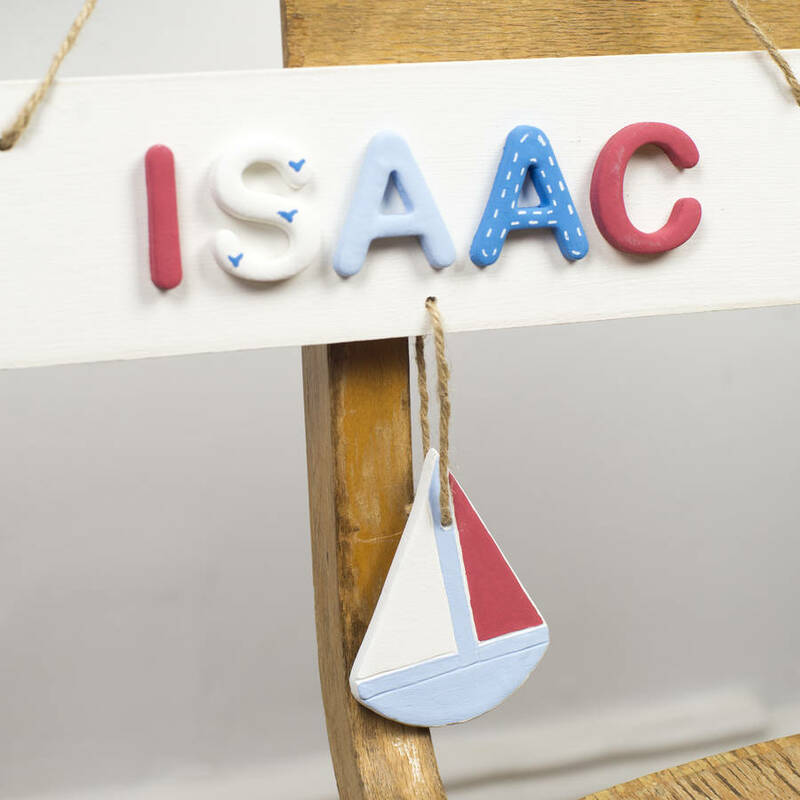 A beautiful hand painted personalised wooden name plaque in a nautical style with ceramic letters finished with a hanging boat. 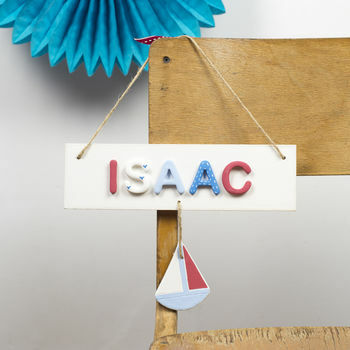 This pretty children's personalised wooden sign is a perfect gift for a new baby, Christening, Chistmas or birthday. 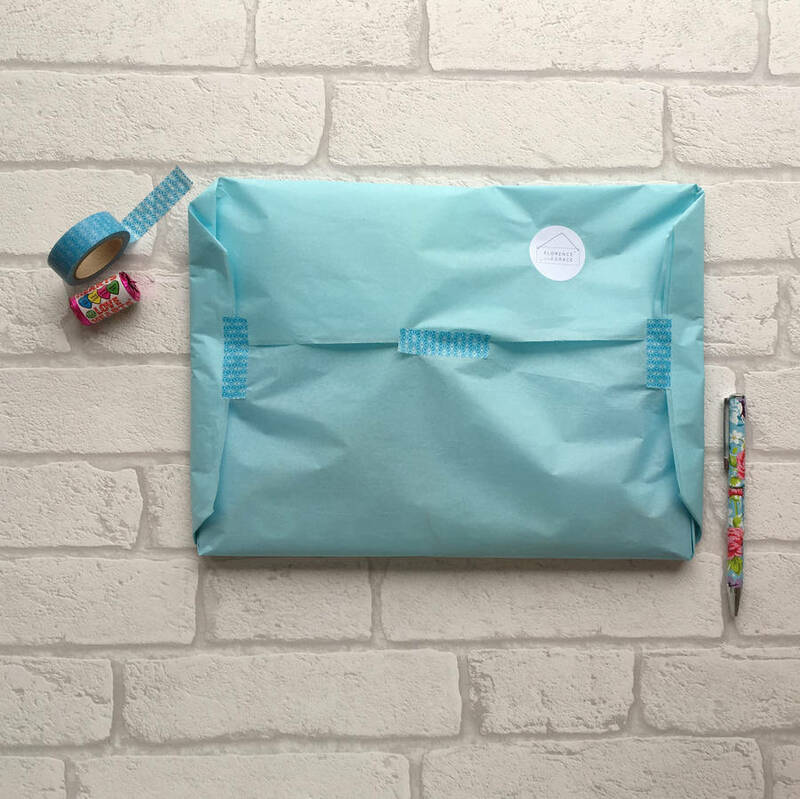 This pretty nautical styling and hanging boat will suit a child of any age and hung on a door or wall will coordinate well with most bedroom decor.